RIO is gone. Tech Olympics is in. Contestants: Drupal developers and mobile app developers. MEDAL: User Experience. Surprisingly, the web developers are taking a lead over their mobile counterparts. Root Info Solutions sees the inversion of control as a differentiator. Clearly, as of now, an app has an upper hand over the Web. Over 80% of the Internet usage happens through app and users also spend a whopping 2-3 hours in apps only. The rising number of apps on app stores like Google Play also shows the dominance of apps over the Web. Why do people prefer apps over Web? The answer is simple. They love simplicity and spontaneity in whatever they do. Mobile apps help them save time, bypass the complexity and do a multitude of things with simple gestures (e.g. tap, swipe, pinch-and-zoom and applying the varying degree of pressure) with a lightning fast speed. Now, think of a business? perspective. A business can allow users to take advantage of the smartphone capabilities like microphone, GPS, fingerprint sensors, camera, etc. They can send push notifications to drive user-engagement and conversion. With the integration of an analytics tool like Mixpanel, Flurry, Google Analytics, or anything similar, they can know the consumer?s behavior, decode market trend to stay future ready and improve the app itself. Perhaps, the major chunk of the benefits was missing in websites. Cheers! It would be possible for a Drupal developer to equip his or her web application with all the features and benefits that users normally get from apps. Let?s take one by one. In the influence of inversion of control feature, client-side will have a greater role to play. In a way, the server side will be in control of the client-side: From driving requirements to initiating actions, the client-side has to decide. This contrasts strikingly with the traditional one, where client-side is left at the mercy of server-side, waiting for the next page to be delivered and rendered from the server-side once a page refresh is done at the client-side. The data transmission between client and server sides happens asynchronously. Ember enhances client-side storage scope and, most importantly, it gives way to offline functionality that app development company often brags about to have in their apps. Clearly, this would improve the web experience and give more reasons to users to return to the Web app, or stay glued to the Web forever. Needless to say, businesses will also find reasons to invest in Drupal web development to achieve their objectives. 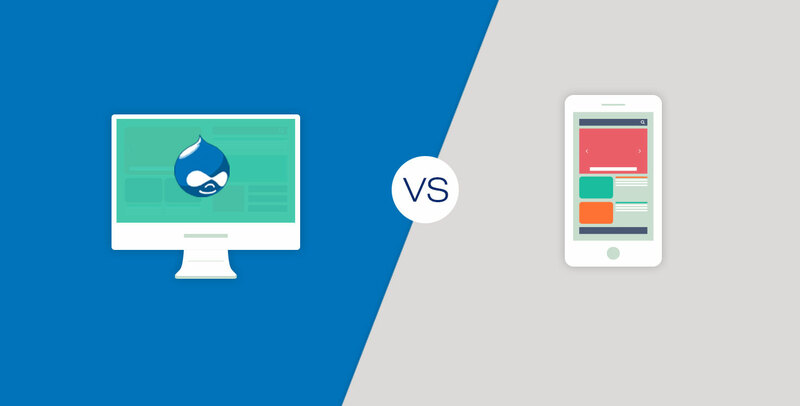 Thus, in the tug-of-war of User Experience, Drupal developers are likely to have an edge. Indeed, this will help in restoring the spirit of the open, decentralized web. Apart from User Experience, Inversion of Control helps with improving the editorial experience, which we?ll discuss in a later post. Stay tuned for Root Info Solutions. Stay ahead of the time.